GarryB wrote: Good point also... the Su-35 that China receives will not have the same systems and equipment as a Russian Su-35, so the question is... how will it compare with the Su-30MKI with upgrades? Consider this . In 2009 , India was given two options by Zelin . Purchase the SU 35S off the shelf or go in for a tailor made more advanced version of the SU 30 MKI ( aka Super Sukhoi). India chose the latter. The Super Sukhoi represents the cutting edge in fighter technology . Details of the Super Sukhoi-30MKI upgrade package were therefore agreed upon during MAKS 2011.Since then the IAF has been funding the various R & D packages & it is only due to this that the glass cockpit design has been finalised & the MSWS suite is now undergoing systems integration trials on the ground, while NIIP Tikhomirov has received funds from India for customising the AESA-MMR package & distributed AESA-arrays for fitment on the Super Sukhoi-30MKI ( Chinese SU 35's will have PESA MMR ) The icing on the cake is this project is making swift progress ( including integration of the BRAHMOS) . The integrated nav-attack avionics & self-defence suites of the SUper Sukhoi is still a full generation ahead of that on the Su-35S. It is inconceivable for either the Su-35S & Super Sukhoi or Su-35S & Rafale to clash swords against one another, in the high-altitude Tibetan Plateau, whose geography alone precludes the element of dissimilar air combat being fought over the skies above Tibet. Therefore, ensuring air-defence over Tibet will always be the sole responsibility of the PLA’s land-based hierarchical air-defence system comprising MR-SAMs, E-SHORADS & VSHORADS, plus high-velocity motorised anti-aircraft cannons. I don't see much that is "full generation ahead" on the Super 30. Su-35 has quite a few advantages of its own. The reason India did not buy the Su-35 is it already ha the Su-30 and upgrading them to its own standards makes sense. The upgrade borrows some from the Su-35 program in any case. I see any Chinese Su-35s as being overall rather equivalent to even Super 30. AESA (when it gets around, which will be later in the decade at best) does not make the plane somehow a generation better. Irbis-E is a monster. I think he means a generation ahead of the Su-35S that China will be buying. I suspect the Russian Su-35S and Indian Su-30MKI upgraded will share a lot of components and systems which makes sense as many of those new components will likely be the prototypes of the systems and components going into the PAK FA/FFGA. I suspect the components will be slightly different so that if one is compromised they are not both compromised, and of course India might choose some western components too. I still don't see any way to back up the claim that the Super 30 is a generation ahead of the Su-35 (China version). In some ways the Chinese bird will have advantages. THough in the big scheme of things if one is a bit better than the other, is not all THAT important. To all the experienced tech members here.. The way this thread was started and what it has become now..I have to say it is..
TR1 wrote: I still don't see any way to back up the claim that the Super 30 is a generation ahead of the Su-35 (China version). Just to clarify that Irkut has used the word 5G to describe the Super Sukhoi . As a recap India had first purchased the SU 30 , then they were upgraded to SU 30 MKI standards.Therefore , as on this date there is ZERO difference between an export version SU 35 and the SU 30 MKI with the IAF. Though at the cost of sounding patronizing I would suggest that the AESA radar of the SU 30MKI gives it an edge of the PESA radar of the SU 35 . The Super Sukhoi in other words would be a PAK FA minus the stealth with the ability to carry two BRAHMOS missiles . China will get exactly the same SU 35 that have been offered to Venezuela . So , now the process of upgradation begins to upgrade an aircraft that already has all the key qualities that an export version SU 35 has . The AL-31FP, presently rated at 126kN with afterburning, will offer 25% more power when uprated by NPO Saturn. Hot-end components and cooling system are being redesigned to permit reduced thrust lapse rates with altitude, which in turn will permit supercruise flight regimes. New-generation FADEC as well as all-axis thrust-vectoring nozzles (±15 degrees in the vertical plane and ±8 degrees in the horizontal plane, with deflection angle rates of up to 60 degrees per second). A reusable fibre-optic ABRL active radar towed-decoy using suppression, deception and seduction techniques, and an internal EW suite supplied by Elettronica. ABRL features four rear-mounted lattice control fins to provide for decoy control and providing a certain amount of drag for enhanced stability during extreme manoeuvring.In essence, they provide a great deal of lifting area despite having a very small chord, so combine outstanding effectiveness with comparatively small hinge moments. The wing-/tail-mounted L-band or S-band T/R modules will be employed for secondary airspace surveillance, as well as for missile approach warning and directional jamming of airborne tactical data-links associated with BVRAAMs and AEW & C platforms, thus transforming the upgraded Su-30MKI into a combined airborne early warning/tactical battlespace management platform. Is it necessary to say that the Tikhomirov designd multi-mode MIRES X-band active electronically steered-array (AESA) multi-mode radar wins dands down over the NO-11M ‘Bars’ PESA-based MMR. Now , tell me , which of these features are available on an export version SU 35 ? Therefore , as on this date there is ZERO difference between an export version SU 35 and the SU 30 MKI with the IAF. That is extremely optimistic, given than PAK-FA operational equipment has not been defined yet, and we have no way to compare the Super 30 upgrade to that. I see it more as catching up to latest Flanker advanced in Russia + whatever modifications India wants to slap on it. Yes, the Su-30MKI will be getting an AESA (late in the decade maybe) but it is still an upgrade of an existing set, so there is no way to tell its performance relative to the mighty Irbis. In terms of the sort of jamming and navigation equipment it is getting, we don't have a basis of comparison, to be frank. There maybe advantages, but I am at a loss how you can say it is a "generation ahead" in frankly anything. You are shocked because you are comparing the SU 35 with the SU 30 MKI that are not upgraded . And by upgradation I am not talking about the Super Sukhoi program but the other upgradation that SU 30 MKI's are going through. Yes , 19kn difference with afterburner in favor of the SU 35 . Uprated engines of the Super Sukhoi will negate ths advantage. Zhuk AESA upgradation for the SU 30 MKI has already started . Export version SU 35 uses Irbis E .
Again , what advantages do these give to the SU 35 ? You cannot have 4 prototypes built without operational equipment been defined yet . But to answer your question , they have largely been defined . You have NOT read my previous posts in this same thread . Upgradation program is ON . 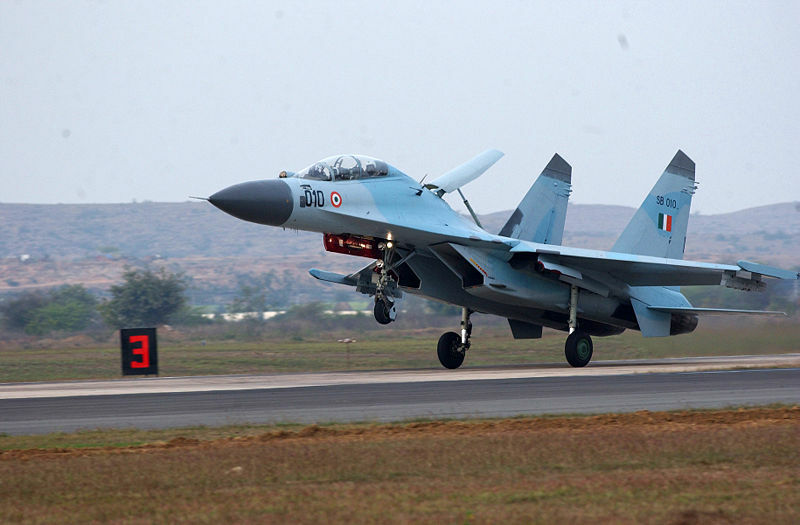 SU 30MKI will get AESA latest by 2015 . TR1 wrote: but it is still an upgrade of an existing set, so there is no way to tell its performance relative to the mighty Irbis. You mean the IAF is taking off the NO11M radar to fit them with less capable Zhuk AESA radar ? FYI the NO11M is a cut above any PESA radar and is a transition between PESA and AESA. TR1 wrote: In terms of the sort of jamming and navigation equipment it is getting, we don't have a basis of comparison, to be frank. I have provided my take on the comparisons in my above posts . TR1 wrote: There maybe advantages, but I am at a loss how you can say it is a "generation ahead" in frankly anything. You did not read my last post , did you ? The term 5G was used by Irkut to describe the Super Sukhoi and I have described at length how the Super Sukhoi is ahead of competition . Nomenclatures like "generation" notwithstanding the point I was trying to make is that the Super Sukhoi is more advanced than export version SU 35 . Had that not been the case purchasing SU 35 off the shelf would have made far more sense both economically & technically. "Uprated engines of the Super Sukhoi will negate ths advantage." "Zhuk AESA upgradation for the SU 30 MKI has already started . Export version SU 35 uses Irbis E ."
No. NIIP has been working on increasing Bars power in lines with Irbis advances. The second part of the program is AESA antenna, but that is a ways off. The Phazatron talk has been media nonsense, nothing more. "What are the advantages ?" I am talking in rough generalizations here of course, but just compare MKI cockpit to the Su-35s. It is quite obviously an older bird. The Super 30 will negate this advantage however. -Regarding IRST, the Su-35 uses a new set compared to any Su-30 variant. And yes, eve export Su-35s have this. "Again , what advantages do these give to the SU 35 ?" 1.) Longer airframe life. Self explanatory. 2.) Increased range + weapons payload in practical sense, due to new material use + more efficient airframe. 3.) Higher performance due to airframe optimization. 4.) RCS reduction, though I suspect this is not major. "You have NOT read my previous posts in this same thread . Upgradation program is ON . SU 30MKI will get AESA latest by 2015 ." I will bet my entire bank account by 2015 there will be zero AESA Su-30MKIs flying in the IAF. The first stage of the upgrade has not been fielded yet, let alone the second antenna stage. Hell, the PAK-FAs set is far away from completion, and you expect the MKI to field an AESA before that? Not a chance I am afraid. I will bump this when we see the final set, but I maintain the Phazatron talk is media nonsense and nothing more. HAL has been working with NIIP on the Bars, Phazatron has nothing going in this sense. Can't just take the Zhuk-AE antenna, scale it and fit it to the Bars. N011M is indeed an excellent set, no argument there, but the N035 is even better. The 5th gen talk, is like all marketing talk. Not worthy of serious discussion. Buying Su-35 makes no sense for India since they spent a long time working up to Su-30MKI production. No need to complicate production + fleet. In any case they can upgrade the plane to make it generally similar to Su-35...superior in some aspects perhaps, nothing stopping that, just depends of the scale and time of the upgrade. I don't see how any basis can be made for dismissing the export Su-35 as a generation below whatever Super 30 will be. If we are talking A2A, today, the Su-35 is undoubtedly superior. N035, new IRST, full missile/laser warning suit, as well as superior flight performance. Su-30MKI is a beast too though. 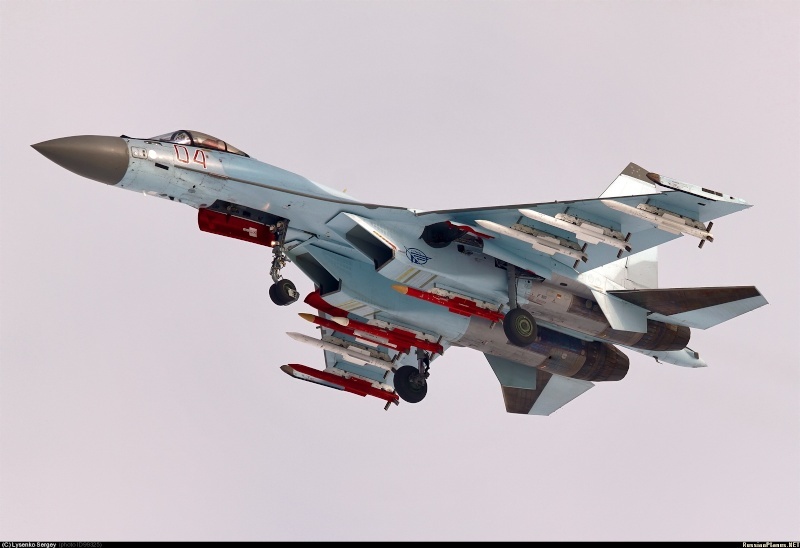 In a recent defense magazine Kanwa Defence Rewiev said, not until now China "rumored duck" on formal contracts to buy Su-35 that information from Russia and China have achieved satisfactorypreliminary agreement on the purchase of 24 Su-35 late last year as well as "duck" notes. The so-called "preliminary agreement on the purchase of 24 Su-35" is in fact just a memorandum of a meeting held in November last year during a visit to China by Russian Defence Minister. Russia certainly does not accept the amount of "dirt saliva" is 24 units as the Chinese press claims. The Russians have been confirmed with the number 48, they still have not sold anymore is 24. Profits from small orders are not worthy is how investment compared to the cost of development, but the risk of stealing technology is evident, so if you only buy small Chinese do not have a dream. This has been proven through a "duck" of China's purchase of Tu-22M3. So, the nature of this memorandum is China offered to buy fighter aircraft Su-35 from Russia but Russia is not determined to be sold to China. So the deal is real, but the two sides have their own attempt, a new deal early as nothing is sure, not agree on the specific terms. If the two parties fail to reach their own purposes, this agreement can completely shattered. China "wants" from the Su-35? Kanwa magazine pointed out, jet vector 117S and phased array radar Irbis-E is the "inspiration mainstream" of China for the Su-35. J-20 testing process revealed many weaknesses of the Chinese aviation industry, especially on the issue of the engine. 117S engines of China's new really making J-20 5th generation fighter aircraft (in their parlance) capable of supersonic speeds week, otherwise it's just trivial as all other aircraft. Jet engine thrust vector is large and flexible long China still hungry. The ability to adjust the airflow minutes in different directions of the 117S is the most superior point, compared with other types of engines have the ability to adjust up-down (for example, F-135 engine on the U.S. F-35 ). It helps for aircraft capable of turning point, change on the fly and great speed, creating great flexibility only in the Russian aircraft (including the Americans). Currently the Chinese WS-15 engine is still in the testing stage groping core techniques. The most recent contract at the end of 2012, China had to buy one the engine AL-31F/FN lot of Russians have demonstrated the reality of manufacturing engine how weak China. Motor manufacturing industry is the most difficult areas in the manufacture of aircraft, not an overnight success, plans to build a domestic Kaveri engine for Tejas aircraft of India for more than 15 years, which has yet to go far to prove it. Time manufacturing aircraft engines China is still a great distance from the United States, let alone Russia - the world leader in this field. Kanwa said, passive phased array Irbis radar (PESA) is a key technology of the Su-35 and the "dream" of China. First prototype only PESA radar of China is being tested on the first J-10B. China is trumpeting loudly successfully fabricated phased array radar for fighter aircraft, even chickens sold to Russian prototype T / R.
But technical experts radar analysis, the nature of the PESA radar China kind AESA only, in the form of technology that Russia and the United States was left unused. Therefore, to improve it, the Chinese target Irbis-E radar is Russia's most modern versions are installed on the Su-35. Opportunity for China to buy the Su-35 Flanker-E? Russia ready to sell Su-35 to partners that are not "freak" about copying technology, because a new generation engine 117 has been created and is being tested on the Sukhoi PAK FA T -50. Moreover Russia is developing new engines used exclusively on the combat version of the T-50 with thrust up to 15.500kg. At the present time, the engine technology of China is going to the U.S. for about 20 years and Russia a distant Russian is 40 years so there is nothing to worry about. Once the China wanted to simulate Su-35, the aircraft manufacturing company with decades of experience Shenyang "clones" Su-27, Su-30 and Su-33 can be restored fuselage a simpleeasy, radar can also be used in the country of production to temporarily replace the engine but it really is hopeless. However, Russia is not easy to sell it to China, if the number of about 100 pieces, maybe they will allow the transfer of technology, but with the number of "fat bubble" for the purposes of parody, Russia will not transfer technology transfer and withdrawal of high-tech equipment on the Su-35. This is what Russia has done in the package to sell Su-27 to China in the early 90s of the last century. 1. 117S engine installation only, not apply push vector technique, not phased array Irbis-E radar. With this option, the Su-35 only has high speed but not flexible, Irbis-E radar make poor combat ability greatly. 2.Do not install the 117S engine, and the same version used in the Russian army. With this option, the Su-35 to be very normal, low speed, flexibility is not high. This plan was opposed by China. 3. Just remove system dynamics vector, remaining the same as the Russian version. With the 117S engine no system dynamics vector, the Su-35 was only high speed but not flexible. 4. Keep the engine but changed to use other radar inferior. This plan is likely to be accepted by China. 1: is the su-35 china will get be watered down version ? 2: what are the features in super su-30 that su-35 doesnt have ? 4:when does china gets these planes in total ? any dates ? There is no confirmation at all that Russia will sell China 100 Su-35s, just newspaper speculation. Officials have floated the 24 number, but negotiations are far from complete. We don't know what version they are getting, but even export-approved Su-35 is still a beast that has most of its capability. We don't really know the full scope of Super 30 performance, so its guesswork at best right now. Plasma stealth on the Su-35 is fairy tales. Application of﻿ plasma-deposition (alternating﻿ layers of metallic and polymer﻿ materials)﻿ to the cockpit canopy. Application of﻿ ferro-magnetic﻿﻿ Radar﻿﻿ Absorbent Material﻿ (RAM) to the compressor﻿ face and to the inlet duct wall. Application of plasma-type ceramic coatings to the exhaust and afterburner. I think Su-35S should﻿﻿ have devices﻿ that produces a cloud of plasma surrounding it too. Like I said, fairy tales. There was mention of plasma shield testing by USSR/RUssia, and people took that off and started making some wild claims. The rest is internet history. Hell there isn't even any proof the engine blades are fitted with RAM. Su-35 has some minor RCS reducing features that are confirmed but that is about it. It relies on powerful ECM for survival, not low radar observability. There won't be any significant difference between the Su-35 or the Su-30MKI when it comes to RCS. Any export model Su-35 will not be as well equipped as the Russian AF Su-35. Later on the Super Su-30 will most likely receive components designed for the FFGA, to improve commonality and reduce costs while also improving performance. The Chinese Su-35s, if they buy them, will not likely get such upgrades. Plasma stealth has been tested but as far as I know had problems at high speed as the air in front of the aircraft could not be ionised to a level that was useful before blowing past the aircraft in the slipstream. It absorbs radar and radio energy so it would effect emissions as well as incoming signals. There is no official confirmation of a deal yet... it looks to me like the Russian AF will get its first PAK FA for testing before China gets a Su-35. When the﻿ radar waves hit the plasma﻿﻿ cloud, the electromagnetic energy﻿ is﻿ dissipated & electromagnetic wave tends to﻿ pass around plasma﻿ cloud. The plasma cloud he is talking about is just ionised gas which must be generated in front of the aircraft to be effective. Electromagnetic waves are not deflected by the cloud, they are absorbed by the ionised gas which reduces the signal strength. The thickness and ionisation level determines how effective it is at absorbing the energy. If you want to ionise air using heat then you need to heat it to several thousand degrees. Russian plasma stealth is based on high voltages like the toy plasma balls you can buy in shops... the increased temperature of a plasma cloud would be insignificant compared to the temperature of the aircrafts jet engines. A light gold plating... can be used for electrical deicing too. Yeah... pretty standard for most modern fighters these days. Which are going to be a few milimetres thick and no more or less effective than the same applications applied to Indian aircraft. The problem there is that the Su-35 is not a tank, it is a plane, and to avoid a big fiery explosion it needs to continue to move forward in the air... it is called flying. Making a cloud of ionised gas around a tank is easy but creating one around an aircraft flying at high speed is really really hard. The fact is that this technology is very effective but not in the way he describes it. The large nose of a Su-34 is mostly aerodynamic fairing with an empty nose cone in front. Imagine putting a balloon inside that nose that is sealed and fill it with exotic gasses that ionise easily when an electric current is passed through it. The radar is there so there are lots of heavy power cables there too so when you are not using the radar you can pump some energy into that balloon and ionise the air in front of the large radar scanner antenna which absorbs any incoming radar signal. More importantly there isn't anything that Russia will do for a Su-35 exported to China that they couldn't do for India if they wanted it. The Su-35 going to China will be downgraded. has Sukhoi carried out any kind of live weapons firing tests with the Su-35 yet? Still a lot of testing to do I think - a while before any are exported. The most advanced and best equipped Flankers in service at the moment are not in Russian service. The Su-35 is in serial service with the RuAF, and yes it is more advanced then the MKI. Yes it is only being inducted, but that will be a moot point by the end of the year when enough birds for a squadron are delivered. And weapons trials have been going for for a while now. There are photos of them trialing various ordnance. Yes, in the same way that the Royal Dutch airforce is operating F-35 at the moment (they have 1 airframe), but we all know that the F-35 is years from frontline service. The USAF took delivery of their first F-35s in 2011. I'm sure they have enough for a squadron by now. Missile firings? I haven't seen any pics yet. The Su-35 does not require anything like the vast build up to reach operational status, since it is not a fundamentally new bird like the JSF is. Next year a Su-35 squadron will be fully equipped and operating, and all trials will be completed by early 2015 IIRC. However, that doesn't change the fact that the RuAF does indeed operate the Su-35S. An aircafts testing process often continues after serial birds are in squadron service, this is pretty common everywhere. You won't see any pics of actual firings likely, ever. Russia is fairly secretive about their testing process when they want to be. How many pics do you have of MiG-29SMT testing weapons? MiG-31BM? Su-34? There are marketing videos of the latter, but very little in the way of active birds trialing weapons. They all went through the process as well. There have been news reports of flight testing milestones (500 flights reached, 600, etc etc) and weapons trials as well. So although PAKFA and FGFA may look the same but have Diff stuff ,am i right ? If yes then will it be good or bad ? Yes, in the same way that the Royal Dutch airforce is operating F-35 at the moment (they have 1 airframe), but we all know that the F-35 is years from frontline service. F-35 is a completely new aircraft design that is largely untested operationally. The Su-35 is based on a mature design that has been in service for almost 3 decades. And also the Su-34 is pretty sophisticated too though oriented to ground attack. Note the mix of red and white missiles? Generally red missiles are used for testing as they show up more clearly in camera footage. They often have telemetry equipment where the warhead is normally placed so the distance to the target when the warhead would have detonated can be determined. The plain white missiles are standard live rounds with normal warheads. They will likely be picking the hard ware but the systems will be similar... think of it as if you and I are both making games machines... we pick our processor which means we have a more limited range of motherboards to pick and memory cards and then graphics cards. We will likely be looking to spend the same money and will likely end up with similar performance rigs running similar software. You might have faster internet connections or I might have, but both systems will be games machines. I doubt they will try to save some money by going with cheaper hardware that is not fast enough the handle the job. it will also mean if one is compromised the other doesn't need a costly upgrade too. In the earlier post the range of N011M Bars is grossly underestimated,as per sources in IAF it's close to 350km for a Fighter sized target,though the actuak range is still classified.Points to be noted that the later series BARS were superior to the earlier ones which are installed in the first 28 Russian deliveries.